In the 1990’s, there was a popular motto many people adopted WWDJ – or “what would Jesus do.” The thinking around this was that it was a reminder for someone that when approaching a situation, to ask themselves “What would Jesus do?” in the situation. 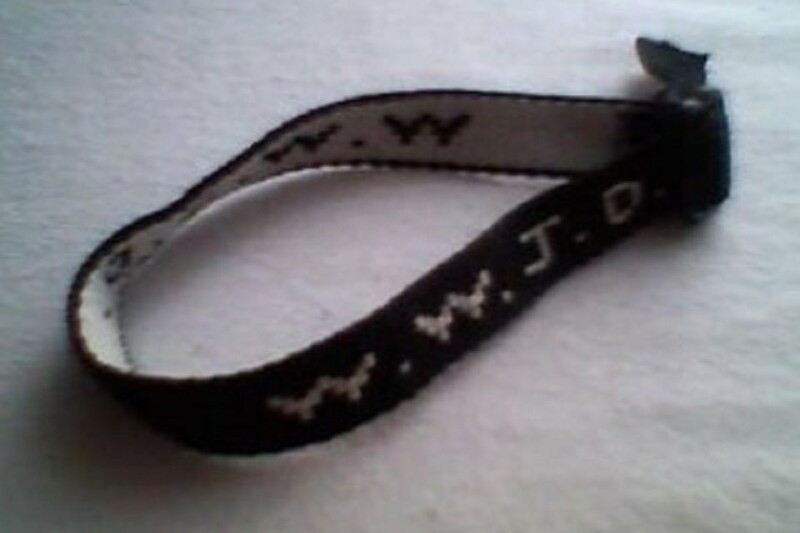 WWJD initials appeared on t-shirts, bracelets, necklaces, bumper stickers, posters and everything else you can think of. As small business owners, many of us tend to be reactionary – we call it being agile, at times, without realizing that we have been agile for so long that we have lost control or lost sight of the original vision for the company. You could liken it to someone on a skateboard riding down a hill who is just going with the ebbs and flows of the road (being agile), then suddenly finding herself falling as she loses control. Still – as a business owner, if you tend to operate on the side of doing the same thing day in and day out, refusing to evolve and adapt, there is a great likelihood that the business will not grow and a greater likelihood that the company will have a shelf-life. Meaning that the company will be in business for a certain amount of time, then will simply go away because the offerings are obsolete. What would your customers want? Let’s start out by killing the elephant in the room: this does not mean that you give in to your customers every whim and want. Regardless of what is said, it is likely that if you take care of your customers, they will ultimately want you to stay in business!! So your primary commitment to them is to run the business well. How do you find out what your customers want? You ask. Half of the time when you purchase something online, the vendor is asking how they did and what they could do better. To be clear, don’t expect to get responses from everyone…historically, the rate has been about 4% response. Another way to find out what they want is to observe their habits. A good Business Management system such as Work, Etc., can help with this, as it will allow you to track the entire client life cycle – all sales activities, sales, support and customer service issues, emails, etc. Within this data, we can begin to identify trends. You may find that there are other markets you could approach, or a subset of the primary market or markets that may have the size and purchasing power to warrant more focus on. Of course, you may find that you are firing well on all cylinders. You will want to keep in touch with your customers – keep communications open and find ways for them to provide feedback (star rating, for example) on different aspects of your products – speed, accuracy, quality, pricing, support and/or whether or not it meets expectations. Again – while you do want to address any immediate concerns where possible, you are going to want to look for the trends – what is being said across the board that might be a strength that you can put more focus on or a weakness that you need to address. This is the stuff planning is made of – both short and long-term. Sure – there is a place for gut reactions, but planning will usually give you a larger view of the business and allow you to make the best decisions with your resources…especially if the change that deserves to be made is in unknown territory. Your customers certainly don’t want you messing things up while trying to meet their expectations. Consider engaging them, similar to the way web developers will beta test, to be part of and provide feedback on the changes that you propose. Execute. Planning and testing will never, ever, result in the changes you want or need to make. Executing will. If you want to build a company that is extraordinary, understanding what your customers want is foundational to staying in business. The idea that “customers don’t know what they want” may have been a popular concept at one point in the world. With nearly unlimited access to information and competition on a global level, this is the age of the consumer. WWCW.